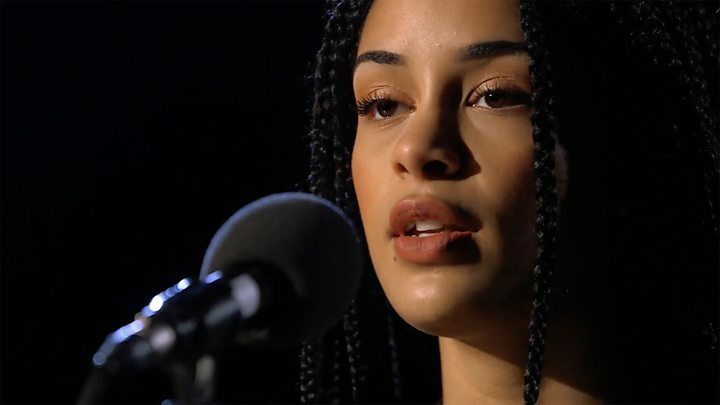 R&B singer Jorja Smith has won the Brits Critics' Choice award, singling her out as one to watch next year.The 20-year-old, who comes from Walsall in the West Midlands, beat two other newcomers, Mabel and Stefflon Don, to the prize.The award, which recognises "the future stars of British recording talent", has previously gone to Adele, Emeli Sande and last year's winner, Rag N Bone Man. "This is such a special way to end the year," said Smith.The singer, who took fourth place on the BBC Sound of 2017, was working in a Starbucks less than two years ago when she posted her first single, Blue Lights, on SoundCloud. A soulful, semi-autobiographical look at her childhood in the West Midlands (it references the number four bus she used to catch home) it quickly earned shout-outs from Stormzy, Skrillex and Drake - who put her on his More Life mixtape earlier this year, alongside the likes of Kanye West and Young Thug. The Canadian R&B star also invited Smith on stage during his concerts at London's O2 arena and the Barclays Center in Birmingham. After the second show, the pair popped out to a local Co-Op to buy sweets, to the surprise of fans. This year, she has released two smooth-but-streetwise singles, Teenage Fantasy and On My Mind, both of which were named "Hottest Record In The World" by BBC Radio 1's Annie Mac.Smith said she "couldn't believe" she'd been given the Critics' Choice award, which is chosen by a panel of music industry experts - including critics, record label employees and the heads of the UK's biggest radio stations. "It's been an unforgettable 2017 during which I've fulfilled so many of my dreams," she said. "And to be part of an all-female shortlist alongside Mabel and Stefflon Don, who've both had incredible 2017s, makes it even better! "There's lots more to come in 2018 from all of us and I will do my best to make it another memorable year. "The Critics' Choice prize is the first accolade to be announced before the official Brit Awards ceremony, which will take place at London's O2 Arena on 21 February, 2018. » BBC Music Sound of 2018: Will these artists define the year?